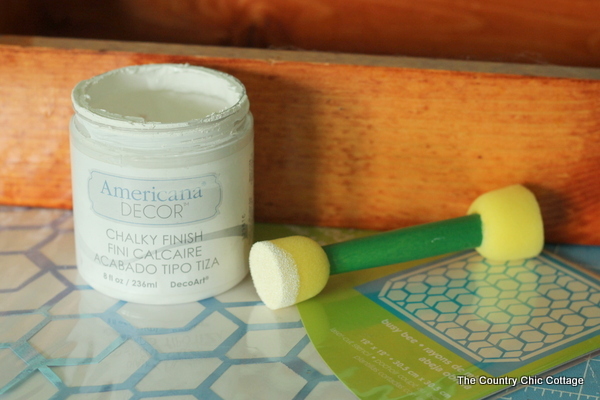 It is no secret that DecoArt Chalky Finish paint is one my my favorite craft supplies. I recently completed this painted wood caddy and thought I would share with y’all today. I am blessed to be on the DecoArt design team and am compensated for posts such as these however all projects and opinions are my own. I would definitely love the chalky finish paint regardless. 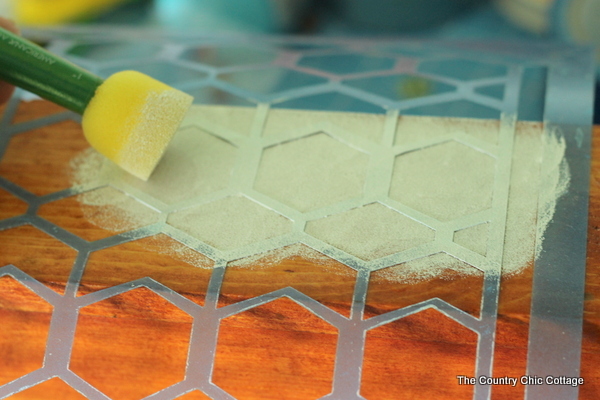 Spray the back of your stencil with removable stencil adhesive (do this OUTSIDE!). 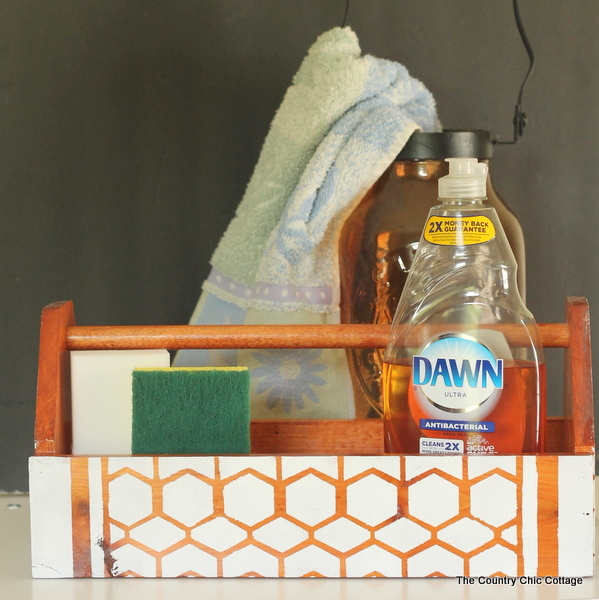 Lightly tack to your surface and pounce with brush and Americana Decor Chalky Finish paint. Readjust stencil to next area to be covered. In my case, I covered all of the sides but left the ends and inside unpainted. Allow the paint to dry completely before using the caddy. You can wax with Americana Decor Creme Wax to get a glossier sheen and protect your work. I am using this one as a storage caddy in our mudroom. It will sit next to the sink and store soap, sponges, etc. Stay tuned as I will have more of the mud room over the next month and a reveal soon! I love the wood showing through the stenciled surface. It really was just what this room needed. One more sneak peek into the direction I am headed in the mud room is below. 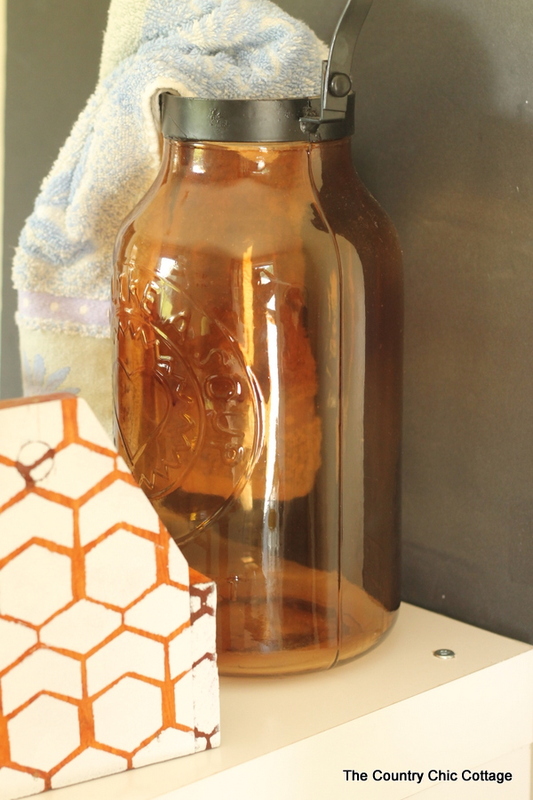 That HUGE jar has a metal handle and I am using it as a towel holder. Awesome right? Y’all are going to love it! 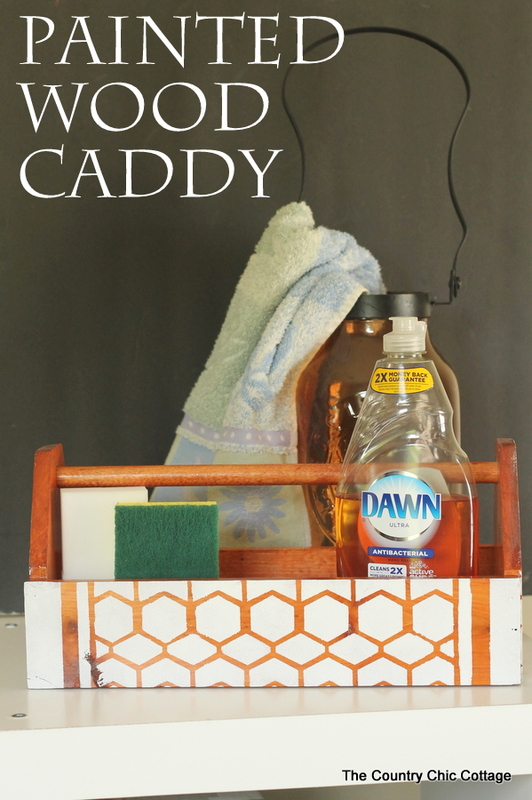 We will be enjoying our new to us painted wood caddy and the organization that it provides in the mud room. Y’all be sure to consider trying Americana Decor Chalky Finish paint on any project big or small that you have coming up. You won’t regret it! Want to see more projects that I have used the chalky finish paint on? Now surely you are inspired to try it for yourself! 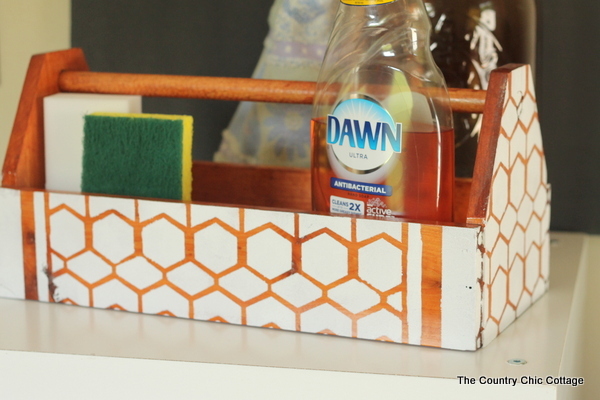 A huge thank you to DecoArt for being an awesome sponsor of The Country Chic Cottage and this post. next post: Hot Glue Gun GIVEAWAY! That caddy turned out so cute and would be great for so many uses. 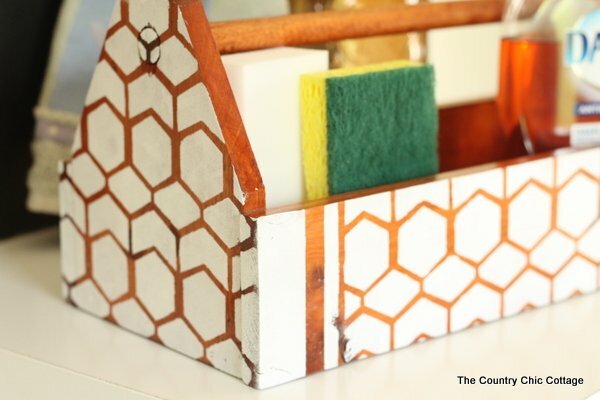 You could use it to organize something in every room of your house.